Tech Forum and ebookcraft are over for another year. Now that the dust has settled, we've finished editing and uploading the videos of each session from ebookcraft's main day and Tech Forum. And now you can watch them all. Over and over and over again if you so wish! We're bringing you some highlights in this post, but you can see all the videos from ebookcraft and from Tech Forum at the links! This panel of information professionals from medical, academic, and public libraries offer their perspectives as collection managers, frontline staff, and, of course, readers. They pull back the curtain on what they love about ebooks, why their ebook recommendations often come with both raves and caveats, how they believe certain types of books and users are best served through the print medium, and their responsibilities as information professionals when issues of accessibility arise. E-production Without Borders: What possibilities exist in the world outside of digital publishing for #eprdctn professionals? Ebook pros who have navigated these transitions themselves will take to the stage to discuss experiences, wisdom, and challenges for the future. Creating a Roadmap for Accessibility: Learn how to develop a practical roadmap for creating accessible ebooks that’s customized to the unique considerations of your press and workflow, including staff size, number of books, complexity of books, and technological expertise. Digital Rights Management (DRM) isn’t the elephant in the room; it’s the monster under the bed. We are afraid of it, and we hate it, but how much do we know about it? Let’s get our flashlights, look under the bed, and learn how it all works. Ebook Apps from the Inside Out: An exploration of the past, present, and future evolution of ebook reading applications and how that impacts and informs the art and craft of creating ebooks. How I Built and Automated Ebook Production Platform—And You Can, Too! Automating ebook production can seem daunting, but there are a lot of tools already out there that can help you along. Get a first-hand look at a successful case study and get some practical guidance for building functions that work smoothly and meet user needs. A panel of industry experts and innovators discuss current developments in the creation and distribution of audiobooks, alongside new consumer data on what listeners expect from us. 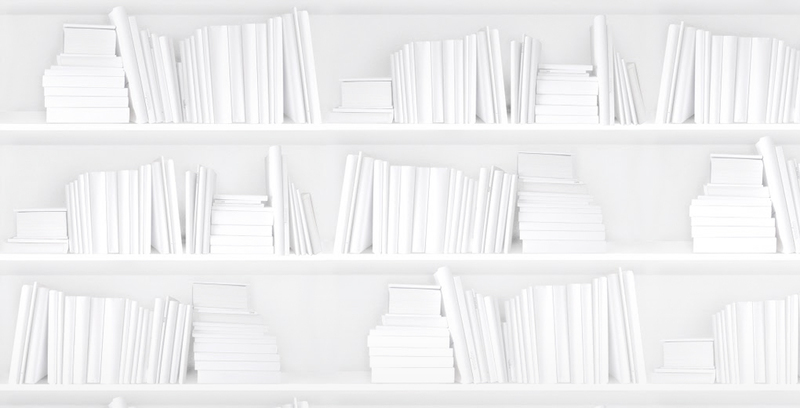 Minding the Gap: Advanced sales strategies for diverse lists: Now more than ever “those books don’t sell” is not an acceptable response to the lack of diversity in publishing. Léonicka Valcius, Tan Light, and John Toews take part in a collaborative brainstorming session that will provide practical strategies you can implement right away. Repurposing Content: Drawing from case studies of creative and effective ways to give existing content a second life, this panel discussion will show you how to broaden your reach by using the resources you already have. The Success of a Book: Building pre-pub discoverability & buzz: Discover tactics and strategies you can bring back to your marketing, publicity, and sales teams to help them create influential conversations that will lead to recommendations and, ultimately, sales. Technological developments are accelerating business consolidation, fracturing and recombining audiences, and disrupting everything down to workplace culture. Robert Wheaton suggests that our industry can harness these developments to better bring stories and voices to readers – and to do so via positive and empowering workplaces without provoking a backlash within our own constituencies. Bionic Bookselling: Discoverability is alive and well; what’s dead is the notion of a single user experience of any discovery journey. Demystifying the Inner Workings of Amazon Keywords: Using lessons learned from one publisher’s journey to uncover the online retailer’s inner workings and enhance discoverability, Erica Leeman offers advice on best practices, workarounds, and successful workflows. From character limits to lemmatization, no stone is left unturned. Serving Up Piecemeal: Using serialized content to establish and engage readership: Inspired by the success of premium episodic television and the rise of the narrative podcast, Molly Barton launched Serial Box. In this session she discusses how their content differs from books delivered in pieces — serialization vs. chunking — and the patterns and consumer behaviours that led to the Serial Box model. Looking at recent research on sales trends, consumer behaviour, digital publishing, and more, including our new series of in-depth genre studies and data we haven’t shared anywhere else, Noah Genner offers data-driven, actionable insights to better inform your next business decision. BNC CataList + Stronger Together: BNC SalesData and BNC CataList join forces: From faster, easier navigation to more personalized content and settings, take a tour of the new features we’ve added and how they can support your work as retailers, sales reps, or librarians. Standards & Certification + What's in a Date: Best practices regarding dates in the Canadian Bibliographic Standard: Tom Richardson reflects on standards we haven’t yet implemented, especially ONIX 3.0 for print books. Spiders, Chatbots, and the Future of Metadata: A look inside the BNC BiblioShare sandbox: BookNet’s BiblioShare database now holds over 2 million public records and counting. Tim Middleton demonstrates a few in-progress tools and blue-sky possibilities that put all that data to good use. We hope you enjoy the programming from Tech Forum and ebookcraft 2017. If you'd like to come to the 2018 conference, block out the dates on your calendar: March 21-22, 2018 for ebookcraft and March 23, 2018 for Tech Forum. You can sign up for the mailing list and visit the website for updates as the conference gets closer. Registration will open in the fall. We hope to see you there! Older PostReady to conquer Authors for Indies?